This taboo extends to sexual health, with terrible costs for young adults who have been denied information about reproduction, contraception, and healthy relationships. As a result, the United States has disproportionately high rates of unintended pregnancy, sexually transmitted infections, and domestic violence. The lack of healthy dialogue on these matters has delivered unhealthy results. Thankfully, strong leaders are stepping up and speaking out, and we’re beginning to see the benefits. Through the leadership of elected officials such as State Senator Sue Serino and Assembly Member Linda Rosenthal, with support from Council Speaker Melissa Mark-Viverito and Council Member Julissa Ferreras-Copeland, the New York State Legislature recently voted to eliminate the sales tax on tampons, sanitary napkins, and other feminine hygiene products. (Governor Andrew Cuomo has pledged to sign the bill). Just as we provide an exemption from the sales tax for necessities such as groceries and clothing, feminine hygiene products will be properly defined as necessities for women who menstruate, not luxuries. The exemption will particularly assist low-income New Yorkers who have had to choose between or ration such basic necessities due to their limited resources. New York City now has an opportunity to build on the momentum from this achievement. 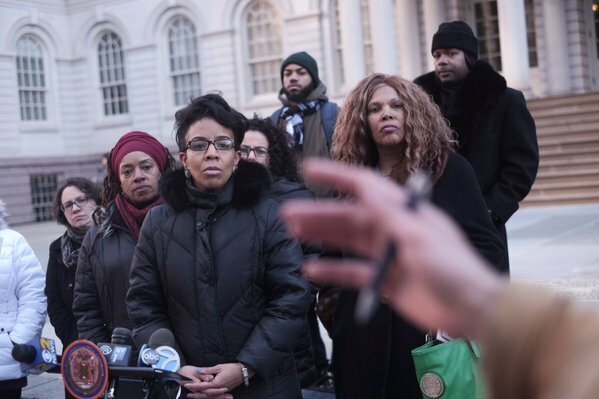 The City Council is preparing to hold a hearing on a critical proposal by Council Member Ferreras-Copeland and Speaker Mark-Viverito to offer feminine hygiene products for free in public schools, homeless shelters, and correctional facilities. This is a logical extension of our shared interest in promoting common-sense public health measures, both physical and psychological. Consider that a girl in school who has her period but is not carrying tampons or pads must visit a guidance counselor or the school nurse and explain her situation, often needing to negotiate hall passes and having to wait to be seen - the entire experience seems to have been intended to maximize embarrassment and class time missed. In jail, each woman receives a very limited supply of feminine hygiene products each month while additional supplies are sold for extortionate prices at the commissary; many must improvise with rolled-up toilet paper, a humiliating and unhealthy situation. Any woman or girl who is forced to use menstrual items for long stretches of time, due to issues of access or affordability, is put at higher risk for cervical cancer, toxic shock syndrome, and other concerns resulting from product overuse. We need action at all levels of government. In homeless shelters, many women and girls simply cannot afford to buy feminine hygiene products, as Supplemental Nutrition Assistance Program (SNAP), Women, Infants, and Children (WIC), and flexible spending accounts disallow such purchases. Legislation such as the Fund Essential Menstruation (FEM) Products Act of 2015 from Representative Grace Meng, which would reclassify feminine hygiene products to allow for purchase with flexible spending accounts, is essential to move forward and should be a bipartisan priority. For starters, we should ensure that every member of the New York State congressional delegation gets behind the bill. These initiatives are critical to eliminating inequities that undermine the position of women in our civil society. A recent report from the New York City Department of Consumer Affairs (DCA), for example, documented that products sold to women cost seven percent more on average than nearly identical products sold to men. This includes basic hygiene products such as shaving razors. We have a shared responsibility, men and women alike, to demand that these disparities end now. Companies that continue this behavior need to be called out in the public arena and pressured to answer for these discrepancies. We must continue to drive the conversation about gender equity, especially around women’s health, to break the silence and remove the taboos. When I became Brooklyn borough president, I was deeply concerned that women who have recently had children are often ostracized for breastfeeding and pumping milk at work or in public areas, despite the fact that the law protects their right to this practice. I was proud to open our lactation lounge at Brooklyn Borough Hall last year, as part of the Breastfeeding Empowerment Zone initiative by the New York City Department of Health and Mental Hygiene (DOHMH), so women in Downtown Brooklyn have a comfortable lounge in which to breastfeed or pump milk. And, we are able to raise awareness of the benefits of breastfeeding and to celebrate the practice. I am now pressing forward with City Council Members Laurie Cumbo, Robert Cornegy, Jr., and Corey Johnson (the latter are two of the standout male leaders in the fight for advancing women’s health) on a proposal to require the City to create dedicated space for nursing moms in a range of municipal government offices that serve the public, such as New York City Human Resources Administration (HRA) job centers and New York City Administration for Children’s Services (ACS) borough offices. This conversation should include the entirety of women’s lives. Our society has often avoided discussion of menopause, depriving many women of information about the symptoms of menopause such as hot flashes and an awareness of available treatments. In our celebration of Women’s History Month this past March, Council Member Cumbo and I organized a day of panel discussions and workshops to speak with women about every stage of life and to start a conversation surrounding the natural changes that occur in life, not only physically, but also emotionally and spiritually. For some, it was the first time anyone had engaged them on these topics. We ask businesses and other institutions to follow suit and to reasonably accommodate these life transitions. The days of relegating women’s health to second-class status or worse are over, and our laws and policies must reflect that for every stage of a woman’s life. Men, who still write most of those laws and policies, have a responsibility to join in this conversation and to insist on fairness and equality. Eric Adams is the president of Brooklyn. On Twitter @BPEricAdams. Access to reproductive health care is generally viewed as a “women’s issue,” a label that some say excludes men and more specific impacted groups from a variety of important conversations, and can make it more difficult for so-labeled issues to get the attention they deserve from public policy-makers. While closing the wage gap, securing paid family leave, combatting sexual assault and domestic violence, and protecting and improving access to reproductive health care impact everyone, not just women, the “women’s issue” label often marginalizes examination. Women, as 50 percent of the population, also have stake in every issue, from housing to economic development to transportation. New York City Council Members Laurie Cumbo and Helen Rosenthal aim to use their roles as newly-elected co-chairs of the Council’s Women’s Caucus to “invite, include, and encourage men to be a part of the conversation,” as Cumbo said, and to make sure that women’s issues are not seen as separate, but rather, as the “economic issues” and “community issues” that they are, Rosenthal said, so that the responsibility of recognizing and responding to “women’s issues” falls on the entire City Council, not just the Council’s Committee on Women’s Issues. “It’s critical that we recognize that families are being shortchanged when women aren’t bringing their whole dollar home,” Cumbo told Gotham Gazette, referring to the fact that women earn 79 cents for every dollar that a man earns in a parallel position. 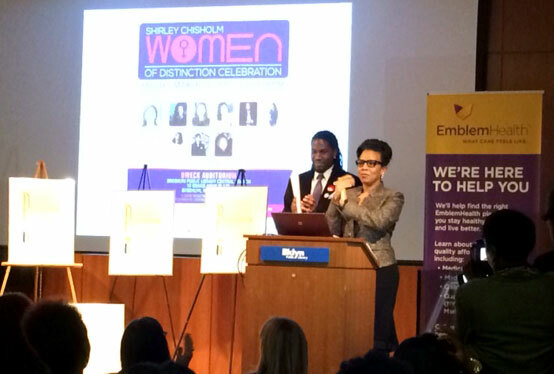 Cumbo said closing the wage gap - ensuring “equal pay for equal work” - and improving the public safety of women in New York City at a time when reported cases of sexual assault are on the rise are her top priorities, both as co-chair of the Women’s Caucus and as chair of the Committee on Women’s Issues. The Council’s women’s issues committee has oversight of the Mayor's Office to Combat Domestic Violence, and holds hearings on issues deemed to be a public policy concern for women, like fairness in physical testing and the effectiveness of human tracking intervention courts. For Council budget hearings, the committee joins the Committee on General Welfare to examine social services agencies like the Administration for Children’s Services (ACS). While some of the traditional focus of the women’s issues committee has been on typical “women’s issues,” there is evidence of movement beyond those domains, beginning with how Cumbo and Rosenthal are conceptualizing their work as caucus co-chairs. April 12 was Equal Pay Day, a date that symbolizes how far into the new year the average American woman would have to continue to work in order to earn what the average American man earned in just the previous year. A report released by the office of Public Advocate Letitia James right before Equal Pay Day found that the wage gap for women working in New York City government is three times as large (18 percent) than for women working in the private for-profit sector (six percent). The report includes recommendations of equal pay for equal work (paying women and men the same when they are in parallel positions) and shows that women tend to be concentrated in certain city agencies, such as the Department of Education (77 percent women) and the Administration for Children’s Services (73 percent women), where the median annual full-time base salaries are $69,901 and $49,606, respectively. Men overwhelmingly staff agencies like the Fire Department and the Department of Sanitation (91 percent men in both) where the median annual full-time base salaries are $76,488 and $69,339, respectively. Rosenthal and others have called for valuing, monetarily, traditionally female-dominated professions on par with typically male-dominated professions. James’ report also recommends that workplaces advance family-friendly policies that support working parents, something New York State recently did when lawmakers passed a budget including a 12-week paid family leave policy. Governor Cuomo signed paid family leave into law on April 4 and the state will begin the multi-year ramp up to the full policy. 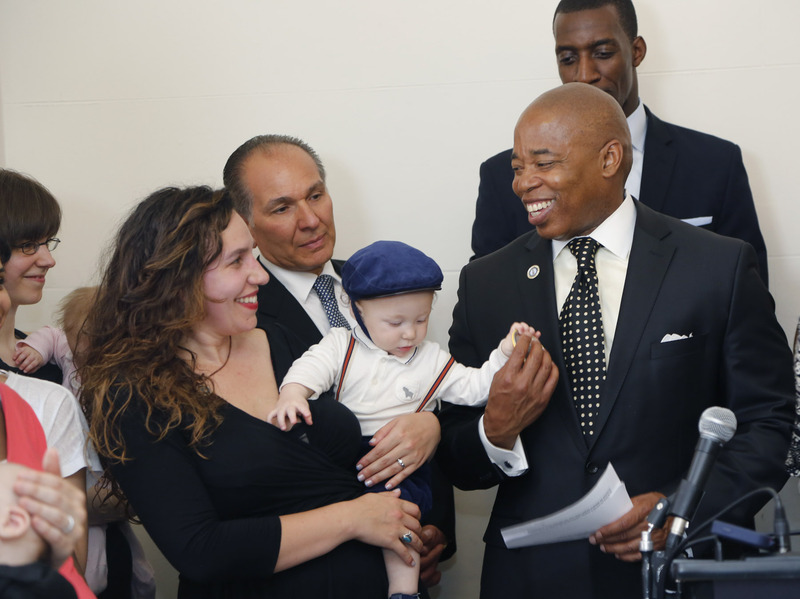 New York joins four other states that mandate some form of paid parental leave. The United States, Suriname, and Papua New Guinea are the only three, out of 185 countries with available data, that do not require the availability of paid parental leave. 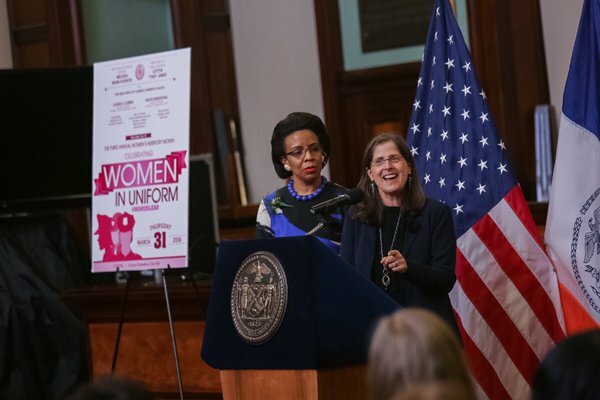 The lack of women in the New York City Council is a concern to Council Member Rosenthal, who says she intends to use her platform as co-chair of the Women’s Caucus to highlight the gender imbalance of the Council and encourage more women to run for office. Currently, 14 of the City Council’s 51 members are women, and five of the 14 are term-limited out in 2017, including Speaker Melissa Mark-Viverito. To Rosenthal, achieving this goal means raising the issue at every given opportunity. At a “Women’s Herstory” event organized by Council Member Cumbo to honor women in uniform during Women’s History Month, Rosenthal says she and Cumbo “took that opportunity with a room full of female leaders from a lot of different uniformed agencies to talk about women in leadership roles, and again raise awareness” of the Council’s gender imbalance. Rosenthal also brought up the issue during a press conference on the steps of City Hall on Equal Pay Day. On April 7, members of the Council’s Women’s Caucus each hosted a young woman to serve as “Council Members for a Day,” an annual tradition at a full-body meeting of the Council. Another program started by women in the City Council that aims to invest in girls and women is the Young Women’s Initiative, launched by Mark-Viverito last year. The YWI brings together stakeholders from community-based organizations, advocates, policy experts, and young women to identify gaps in services and create policy solutions to address gender and racial disparities. Last year, Mayor de Blasio established a Commission on Gender Equity, which replaces the previous Commission on Women's Issues, and aims to improve the economic opportunity for all New Yorkers, particularly women and girls. The simple shift in language away from “women’s issues” to “gender equity” is significant in itself, implying a more inclusive commission that aims to achieve equity and involve more than just women. A bill has also been introduced in the City Council by Mark-Viverito that would establish a gender equity advisory board to study discrimination faced by New York City women and girls and the impact of that discrimination on their economic, civic, and social well-being. Rosenthal’s role as co-chair has led her to increasingly view issues through the lens of how they affect women, she says. For example, Rosenthal is chair of the Committee on Contracts, and wondered aloud during an April 4 hearing on the challenges facing the human services sector whether gender is essential to the fact that the government pays the full costs of construction contracts, but does not cover the full cost of contracts with human services providers. The construction industry is male-dominated, while the human services sector is staffed mostly by women. Rosenthal also sees some merit in the “women’s issues” label. “I see it more as an opportunity - it’s simply another opportunity to talk about the role that women play in the working world and in their families, and another opportunity to make sure that their needs are addressed,” Rosenthal said, citing the fundamental biological differences between men and women when it comes to starting a family as something that needs to be addressed when creating policy. If men want to have a child, for example, they can do so with essentially no physical burden impacting their ability to go into the office, nor physical recovery time needed after a child is born. “Calling it a “women’s issue” makes it into a sort of niche matter, whereas abortion, paid family leave - these are not just women’s issues, these are people’s issues,” Grenell said.